Office quizzes and events are a tried and tested method of team building, but with the evolution of modern technology comes a range of new and exciting possibilities. When you think of office team building exercises, you can be forgiven for immediately thinking of problem-solving puzzles, group outings and office days out. In 2017, it is time to make use of the technology around us – in fact, the technology that many teams use on a day-to-day basis. At Team Challenge, we have an array of tech-based team building events for businesses to utilise in order to put an added spring in the steps of their staff. Getting the team together for a day full of games is a great way for everyone to have fun with one and other, just make sure that things don’t get overly competitive! Video game consoles and other tech-based activities encourage fast-paced and high energy fun for your team. To maximise the fun, why not invite the family along to join in? Create a round of events that everyone can take part in, either individually or as teams, and tot up who has the most points at the end of the day and crown the winner. 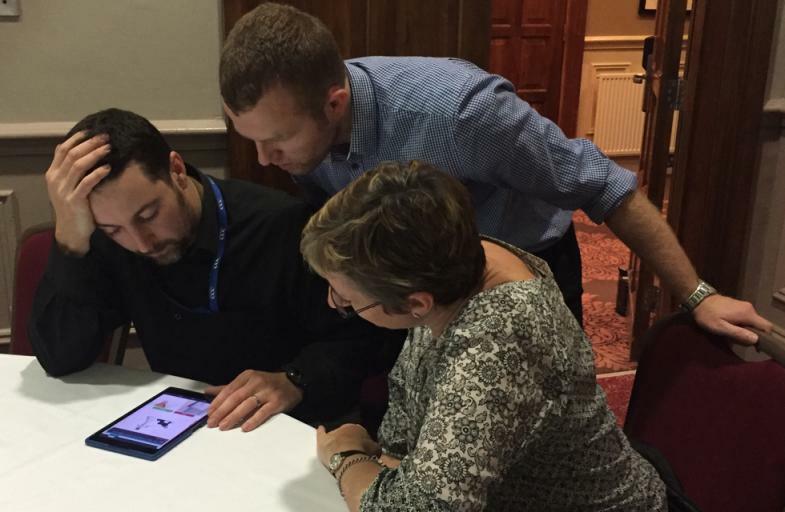 A fantastic modern spin on an ageless team building activity – by using GPS tablets, teams can navigate around an area in search of checkpoints to reveal different challenges. Our GPS based, interactive treasure hunts in conjunction with the Go Team App are award winning for a reason, and ur tech-based events can be devised for groups of any size. As each team follows the trail and completes activities, they will be kept updated on the progress of how the other teams are doing, encouraging them to up the ante! Not only will each team enjoy a positive a rewarding experience, all members will be able to take a positive and improved relationship back into the workplace. The challenge is simple; each team must complete five levels of randomly selected trivia and challenges before the others in the fastest time. A tablet and Tri-Master Kit Bag will be handed to each team and, following a brief technical brief, teams will begin their journey on the interactive board game. Tailor made challenges can be created to suit each business and teams, further increasing the fun and interactivity of the game. At the end of the challenge, the winning team will take home the coveted Team Challenge Company Winner’s Trophy. For more information on the benefit of incorporating tech based team building activities into your office fun days, please call give us a call on 03300 040903 today.